Home / Hack / Health care / Medical Scanners / Vulnerability / Medical Scanners Requires A Security Patch For Vulnerability. Medical Scanners Requires A Security Patch For Vulnerability. Medical Scanners Requires A Security Patch According to US-Government. According to the security advisory issued by US Department of Home Land Security on Thursday, Medical Scanners made by Siemens holds the vulnerability by which even an attacker with a low skill would be able to exploit it remotely using the known weaknesses that exist in older Windows systems. The spokes person from German industrial group Siemens states that the company expects to update software in some of its medical scanners by the end of the month to deal with vulnerabilities that could, in theory, allow some of this equipment to be hacked. Must Read: Registrations For Hackathon Goes Online. The Siemens spokesman declared that no indications of any attack had been found. Siemens' work presents more evidence of a growing focus on preventing cyber attacks on medical equipment, which ranked low on the list of potential hacking targets for years. 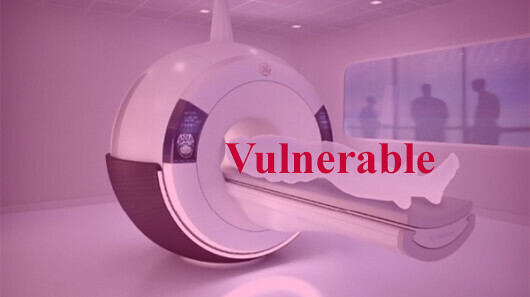 The vulnerabilities identified by Siemens were in its PET (positron emission tomography) scanners which run on Microsoft Windows 7 (MSFT.O), which could be exploited remotely. The company assigned a security severity rating of 9.8 out of 10, using the open industry standard CVSS (Common Vulnerability Scoring System) risk assessment system, according to the DHS security advisory. Based on the existing controls of the devices and use conditions, we believe the vulnerabilities do not result in any elevated patient risk. To date, there have been no reports of exploitation of the identified vulnerabilities on any system installation worldwide. according to ICS-CERT researchers, even an attacker with a low skill can remotely execute arbitrary code if is successful in exploitation of the flaws. PET scanners help to reveal the functioning of the tissues and organs by using a radioactive drug to trace activity. They can reveal or assess cancer, heart disease, and brain disorders. The scanners aren’t typically connected to the internet. ICS-CERT advises anyone using the vulnerable system to keep them off to both the network and the internet. ICS-CERT also advises healthcare organizations to locate all medical and remote devices behind firewalls and to isolate the tools from the network. Where remote access is required, researchers advise that it should be done securely, by the means of Virtual Private Network (VPN). Must Read: Millions of Android Phones, Affected By A Bug. Regrettably, most healthcare institutions just don’t seem to care for security, whether it’s about preventing data breaches, beginning the invasion of ransomware attacks or securing devices with vulnerabilities. Code injection: An unauthenticated remote attacker could execute arbitrary code by sending specially crafted HTTP requests to the Microsoft web server (Port 80/TCP and Port 443/TCP) of affected devices. Code injection: An unauthenticated remote attacker could execute arbitrary code by sending a specially crafted request to the HP Client automation service on Port 3465/TCP of affected devices. buffer over-flaw: An unauthenticated remote attacker could execute arbitrary code by sending a specially crafted request to the HP Client automation service of affected devices. Access elevation/escalation/privileges: An unauthenticated remote attacker could execute arbitrary code by sending a specially crafted request to the HP Client automation service of affected devices. Do Indian Medical Organisation need an Update too? Siemens Systems are widely used by Indian Health Care Organizations Which are now Vulnerable if not pached.